“We have an ethical and political commitment to support General Aoun's nomination and ever since we allied with him, he has not erred against us,” said Nasrallah in a televised speech dedicated to the presidential issue. “Even if another dear friend is nominated, it will not push me to renounce my ethical commitment to General Aoun, and this does not mean that (Marada Movement chief MP Suleiman) Franjieh does not deserve to become president,” Nasrallah added. “We honor our commitments even if we lose politically,” Nasrallah stressed, noting that Hizbullah would only consider backing another candidate should Aoun voluntarily decide to withdraw from the race. Addressing Marada's supporters, Nasrallah said Hizbullah would have taken the same stance had it committed to Franjieh's nomination a year and a half ago. 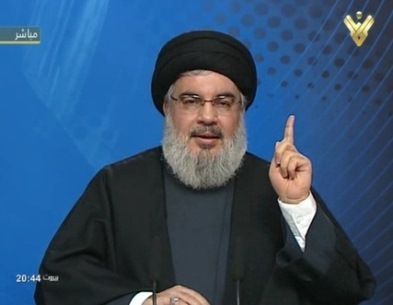 “We are not with rushing things and the issues are moving forward on the basis of internal dialogue,” Nasrallah added. “We would go to parliament and take part in the elections and we would not demand a package settlement, a constituent assembly or constitutional amendments. Our demands from the package settlement have been fulfilled seeing as both candidates are from March 8,” he noted. Lebanon has been without a president since May 2014 when the term of Michel Suleiman ended without the election of successor. The blocs of Aoun and Hizbullah and some of their allies have been boycotting the electoral sessions. 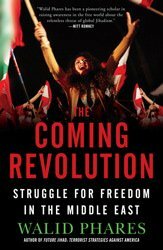 Al-Mustaqbal movement leader ex-PM Saad Hariri launched late in 2015 a proposal to nominate Franjieh as president. Lebanese Forces leader Samir Geagea, Hariri's ally in the March 14 camp, was a presidential candidate at the time and some observers have said that the LF leader has recently nominated Aoun for the presidency as a “reaction” to Hariri's proposal, a claim Geagea has denied. Nasrallah noted Friday that Hizbullah was “pleased” by Geagea's endorsement of Aoun's presidential bid. “We trust our ally General Aoun and he is free to sit with whomever he wants. We will not be bothered if our rival supports one of our allies, because the other camp is the one confused while we have confidence in our domestic and regional situations,” Nasrallah added. “We support any agreement between any two Lebanese groups,” he said. “Our alliances are not only based on political interests but also on trust and friendship,” Nasrallah stated. Reminiscing the period during which Hariri met with Franjieh in Paris, Nasrallah revealed that he had told the Marada chief that no decision could be taken without consultations with Aoun in the long run. “When he told us about the Paris meeting, we asked him to be cautious because certain parties might seek to sow discord between him and Aoun or between Hizbullah and Aoun. When Franjieh asked about our camp's response if the proposal was serious, we told him that that would be a new development that we would have to discuss with General Aoun,” Nasrallah explained. “We told him that we trust him and that we believe that he has the needed characteristics while noting that we are politically and morally committed to Aoun's nomination and that the issue needs to be discussed with him,” he went on to say. “The leaks created ambiguity and the way the issue was addressed from Paris created negative repercussions in the both March 8 and the March 14 camps. Many leaks occurred but I only believe what Franjieh told me,” he added. Nasrallah: If we guarantee that Aoun will be elected president tomorrow, we would go to parliament and take part in the elections and we would not demand a package settlement, a constituent assembly or constitutional amendments. Our demands from the package settlement have been fulfilled seeing as both candidates are from March 8. Nasrallah: We are ethically and politically committed to General Aoun's nomination unless he decides to withdraw from the race. Nasrallah: The manner in which the issue was addressed and the leaks to the media prevented any real or serious dialogue. The leaks created ambiguity and the way the issue was addressed from Paris created negative repercussions in the March 8 and the March 14 camps. Many leaks occurred but I only believe what Franjieh told me. Nasrallah: We told him that we trust him and that we believe that he has the needed characteristics while noting that we are politically and morally committed to Aoun's nomination and that the issue needs to be discussed with him. Nasrallah: Franjieh is an old ally and dear friend and the trust between us is strong … When he told us about the Paris meeting, we asked him to be cautious because certain parties might seek to sow discord between him and Aoun or between Hizbullah and Aoun. When Franjieh asked about our camp's response if the proposal was serious, we told him that that would be a new development that we would have to discuss with General Aoun. Nasrallah: The FPM-Mustaqbal dialogue preceded our public support for this nomination and we backed this dialogue because we want to have a president. We trust our allies when they talk with the rival parties and it does not worry us because we trust our allies. Nasrallah: With the beginning of the presidential issue, Hizbullah's leadership mulled its choices and we unanimously agreed that General Aoun is naturally a candidate who enjoys the needed characteristics. Based on these characteristics and our political vision, and out of loyalty to General Aoun's stances, we decided to back this nomination and we discussed the issue with the allies. Nasrallah: Our alliances are not only based on political interests but also on trust and friendship. Nasrallah: Through some articles and media reports, some parties tried to sow discord between us and the AMAL Movement and between us and the FPM. Nasrallah: Our relations with our allies are based on trust, honesty and mutual respect. We meet over common principles and this political camp does not have a sole leader. We organize disputes among us in a friendly and respectful manner. Nasrallah: Hizbullah has been accused that it is seeking bargaining over the issue of the election and that it wants something in return for facilitating the vote. They alleged that we want a constituent assembly or a greater share in state institutions. When I spoke of a settlement I mentioned concessions and I noted that it would abide by the Taef Accord, but some parties resort to animosity and use all illegitimate means. Nasrallah: As for the issue of Iranian democracy, Iran has organized more than 35 elections in the past 37 years and the polls were never suspended, despite the wars and bombing. But we in Lebanon are searching for any excuse to postpone the elections and we don't have a constitutional authority to address the differences. The Expediency Discernment Council has granted Iran what it was aspiring for at the political, industrial, military and technological levels. Nasrallah: Iran has stressed that the presidential issue is a domestic affair and that it would support what the Lebanese would agree on … If you are serious, go to internal dialogue instead of waiting for regional and international developments, as waiting is not in your interest. Nasrallah: Iran has nothing to do with the presidential issue and it has not and will not interfere in it. Nasrallah: We refrained from addressing the presidential issue in the media because this issue requires direct action and communication. It must stay away from overbidding, incitement and blackmail. Nasrallah: We were pleased by the reactivation of government's work and we hope there will be commitment to the agreed mechanisms. We laud the positive approach of all the political forces and we thank Speaker Berri for his personal and intensified efforts. Hizbullah chief Sayyed Hassan Nasrallah in televised address: We condemn the vicious attack at the hands of takfiris in the Saudi region of al-Ahsaa and we extend condolences to the martyrs' families. This is a dangerous incident that highlights the need to address the roots of terrorism and boost security measures. Nasrallah: I salute all the men who are guarding the country's borders … We bow to the patience and endurance of the army's officers and soldiers and the resistance's fighters. The Lebanese must appreciate these men's efforts.